"Here is a Yankee, strayed from Olympus." 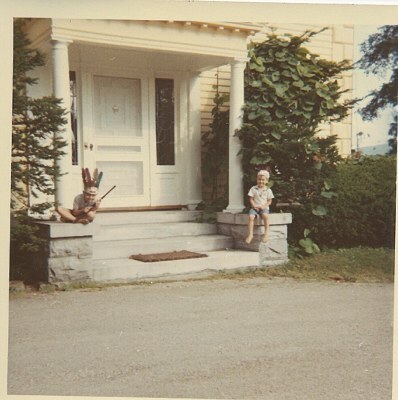 My brother Allen and I grew up on the Oliver Wendell Holmes estate, Holmesdale, in Pittsfield, Massachusetts. 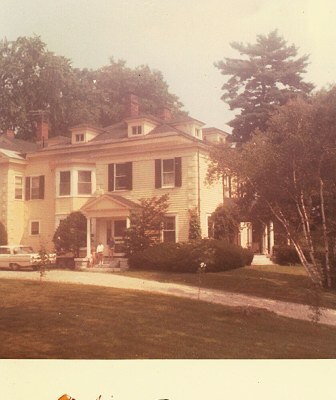 Holmesdale was built in 1848 and occupies an entire hilltop in the beautiful Berkshire Mountains. Allen and I used to climb the same trees (Yes! Some of them are that old!) and hike the same footpaths that the storied Supreme Court Justice and his father did. Here are some pictures of Holmesdale and my family from that wonderful era. 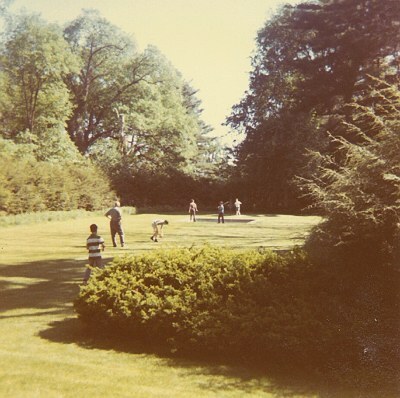 Playing baseball in the formal gardens. Two months of the summer the Holmes family spent in the Berkshire Hills, near Pittsfield. 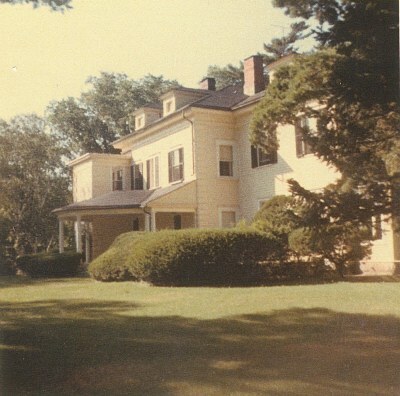 Grandmother Holmes had inherited 280 acres from her father Judge Wendell, who had bought thousands of acres from the Province of Massachusetts. Dr. Holmes built a house there; his mother and John came up sometimes from Cambridge to spend a month. Longfellow lived nearby. 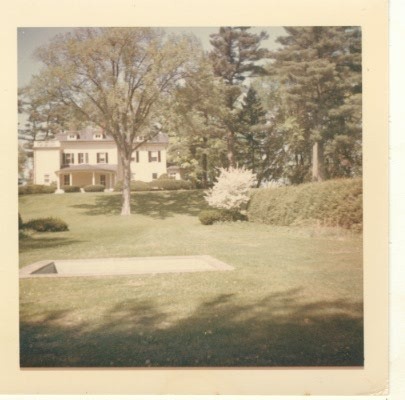 "Drove over in the afternoon to Dr. Holmes' place on the old Wendell farm," he wrote in his diary. "A snug little place, with a view of the river and the mountains." 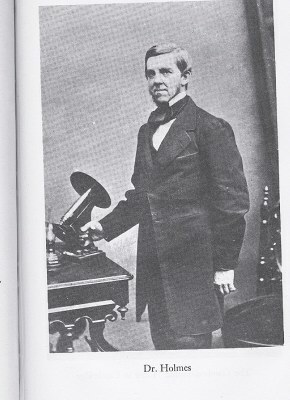 Mr. Nathaniel Hawthorne lived just down the way. He was a quiet old gentleman, not very interesting from Wendell's point of view. Much more exciting was Mr. Herman Melville who had been to sea in the Pacific, had actually been captured by cannibals and held prisoner for months. Wendell had read Melville's books: Typee, Omoo, and the story of the great White Whale. Wendell was powerfully affected by the stories he read; his family teased him when they caught him emerging red-eyed from his room with a book in his hand. He was twelve when his father sent for the new book by Charlotte Yonge that was making such a stir: The Heir of Redclyffe. Wendell seized upon it and buried himself in it. The last half he read in his own secret place high in the branches of the big pine tree, crying safely and unseen while beautiful young Amy knelt by her husband's bedside and, "taking no heed of time, no heed of aught that was earthly," saw him close the dark fringed eyelids foever. Mountain and swift tumbling upland river, ice cold in the pools below the damn. Granite rocks and ragged pine trees, blueberries cheerfully rattling into the pail. The smell of clover in the south meadow, cows coming slowly through the pasture gate at sundown. And at night the stars looking down on a wide quiet countryside. ...I suppose you are sinking ever deeper into the sloughs of the law - yet I ween the Eternal Mystery still from time to time gives her goad another turn in the raw she once established between your ribs. Don't let it heal over yet. The icy teeth have melted out of the air and winter has snapped at us for the last time. Now are the waters beneath my window of a deeper and more significant blue...Now do the fields burn with a green fire...Now couples, walking round Boston Commons Sundays after sunset, draw near to each other in the dark spaces between the gas lights and think themselves unseen. Now are the roads around Cambridge filled with collegians with new hats and sticks and shining schoolboy faces. Now the young man seeks the maiden nothing loath to be pursued. Spring is here, Bill, and I turn to thee, -not with more affection than during the long grind of winter, but desiring if it may be, to say a word to thee once more. And the winter has been a success, I think, both for the simple discipline of the work and because I now go on with an ever increasing conviction that law as well as any other series of facts in the world may be approached in the interests of science and may be studied, yes and parcticed, with the preservation of one's ideals. I should even say that they grow more robust under the regimen, -more than that I do not ask. To finish the search of mankind, to discover the ne plus ultra which is the demand of ingenuous youth, one finds is not alloted to an individual. To reconcile oneself to life -to dimly apprehend that this dream disturbing the sleep of the cosm is not the result of a dyspepsy, but is well -to suspect some of the divine harmonies, though you cannot note them like a score of music -these things, methinks, furnish vanishing points which give a kind of perspective to the chaos of events. 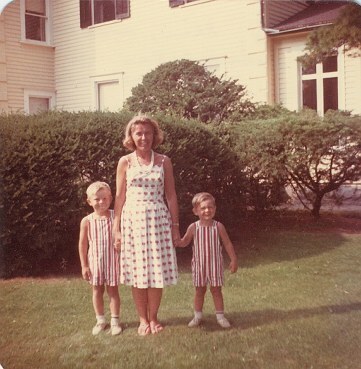 An excerpt from Yankee from Olympus: Justice Holmes and his family, Catherine Drinker Bowen. Little Brown and Company, Boston, 1945. Guarding the front gate against bluecoats and suitors for mom.